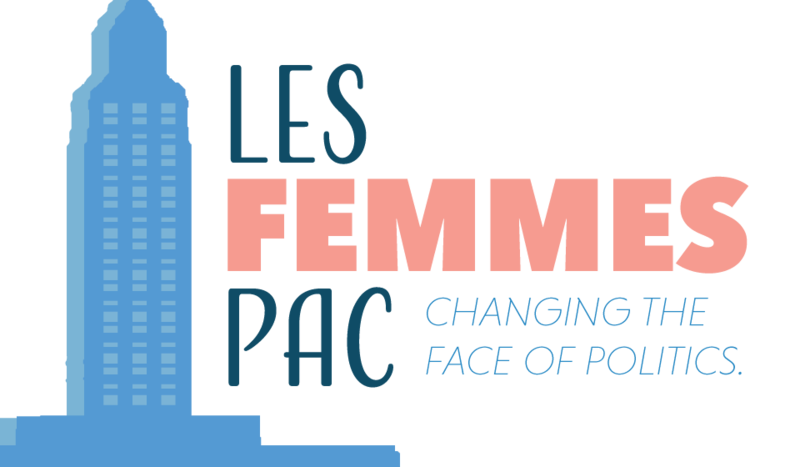 Les Femmes PAC is a statewide, grassroots fundraising organization that is dedicated to electing Democratic women to state and local office in Louisiana. We understand that building the bench with future leaders will be critical to our success and ultimately in accomplishing our mission. Read our launch announcement here. Endorsed candidates will benefit from a network of support from across the state of Louisiana. The Democratic women we endorse will not only receive the financial support they need to run an effective campaign, but they will also gain assistance through coordinated volunteer efforts by Les Femmes PAC members through phone banking, door knocking and other initiatives designed to get out the vote (GOTV). Central to our mission is the belief that electing more Democratic women to public office is critical to reversing the trend of Washington, D.C. style partisanship that has recently crept into our state politics. We are guided by studies that have shown women are less frequently driven by a win-at-all-costs attitude and, when included in the decision-making process, they tend to steer groups in a more moderate direction. For these reasons and many more, Les Femmes PAC is committed to electing talented, Democratic women, who reflect the diversity of their communities. Les Femmes PAC is the critical next step in a broader initiative already underway in Louisiana to elect more Democratic women. Kea is a Co-Founder of Emerge Louisiana and a rising star in Democratic politics. LaTanja has been a leader in the Louisiana labor movement for years. Meet the women behind Les Femmes. Les Femmes PAC is a grassroots network made up of people like you. Together we'll change the face of politics in Louisiana. We have big things planned! Sign up for our emails and we'll keep you up-to-date. Join our grassroots team! Give $50 or more and become a member. We will be hosting member-only events throughout the year. Donate today! Candidates across Louisiana need your support.